If you've been searching for a way to get up to speed on IEEE 802.11n and 802.11ac WLAN standards without having to wade through the entire specification, then look no further. This comprehensive overview describes the underlying principles, implementation details and key enhancing features of 802.11n and 802.11ac. For many of these features the authors outline the motivation and history behind their adoption into the standard. A detailed discussion of key throughput, robustness, and reliability enhancing features (such as MIMO, multi-user MIMO, 40/80/160 MHz channels, transmit beamforming and packet aggregation) is given, plus clear summaries of issues surrounding legacy interoperability and coexistence. 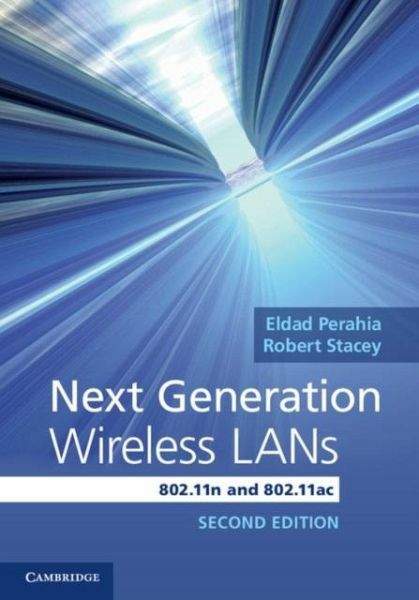 Now updated and significantly revised, this 2nd edition contains new material on 802.11ac throughput, including revised chapters on MAC and interoperability, plus new chapters on 802.11ac PHY and multi-user MIMO. An ideal reference for designers of WLAN equipment, network managers, and researchers in the field of wireless communications. 1. Introduction; 2. Orthogonal frequency division multiplexing; 3. MIMO/SDM basics; 4. PHY interoperability with 11a/g legacy OFDM devices; 5. High throughput; 6. Robust performance; 7. Very high throughput PHY; 8. Media access control; 9. MAC throughput enhancements; 10. Advanced channel access techniques; 11. Interoperability and coexistence; 12. MAC frame formats; 13. Transmit beamforming; 14. Multi-user MIMO; 15. Fast link adaptation.